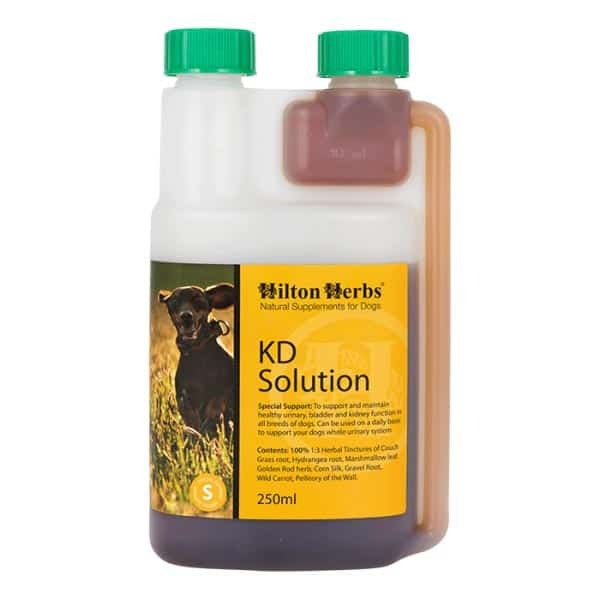 Hilton Herbs K D Solution – Bladder stones with modern analytical techniques the exact type of stone (struvite or oxaleate) the dog produces can be identified and with the help of dietary and lifestyle changes the predisposition to developing more stones can be reduced. In response to specific requests from dog owners, Hilton Herbs’ Medical Herbalist has formulated a special pure tincture product to help support and maintain a healthy urinary and kidney function in all breeds of dogs. 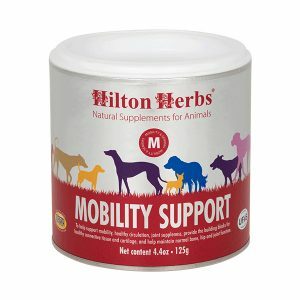 Using antilithic and soothing herbs such as Hydrangea, Gravel Root, Pellitory of the Wall and other herbs known for their beneficial action on the urinary tract, kidneys and bladder; Hilton Herbs has developed this mix can be given on a daily basis to help support your dogs whole urinary system. KD Mix – is a pure tincture product designed to be added to your dogs food. The general feeding requirement is to give 1 – 2ml per 10 kg of bodyweight twice a day. So for example a dog weighing 20 kg would be given 2 – 4ml twice a day in food. We often suggest to our customers that they start the dog on the lower quantity as this may be all that is required.